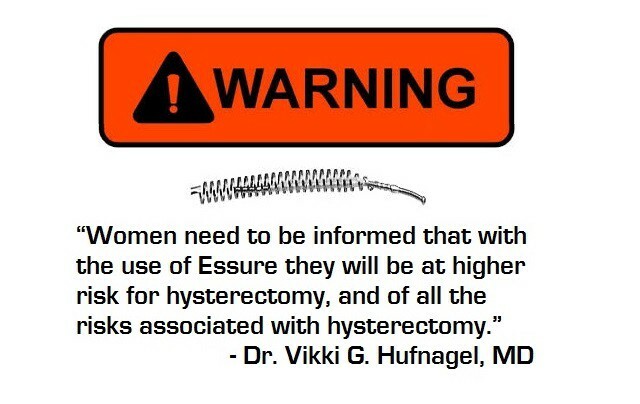 Essure is another product created without proper protocols and without proper informed consent. The FDA lacks an ethics section to review submittals and the physicians on its committees are standard physicians who respond as your local doctor would. These are not people trained to be dedicated in protection of patients. These are people doing their best with limited training. The first issue the public is unaware of which needs to became a national issue is the change in law which has created a license to kill by taking away the right to for patients to sue for failures of medical devices. This is a critical issue which the press and media wore blinders on as human rights have been profoundly intentionally destroyed. Law currently exists to prevent patients from bring suit against manufactures for products and devices. First one needs to know that the FDA so called protection and reporting system is a complete failure. It is held out that MEDWATCH is a system to protect patients so that all patients can report any and all complications with products, procedures and devices. In a study I did with the medical staff at Columbia Presbyterian Hospital in New York where one of my patients was in the hospital with severe complication from Uterine Artery Embolization (aka UAE or UFE) I spoke with the emergency room physicians, the attending’s, the residents and the medical students in the department of gynecology. No one knew of MedWatch. The patient was not informed about MedWatch when she had her UAE consent. This is the reality of our world today. Have you heard of Med Watch? If so when did you first learn if it??? This is another failure to educate the professionals and the patients. I instructed the woman on how to report her case. She did report the case. I reported the case. No one from MedWatch ever contacted her or myself. This is not a simple rare failure. This describes the failure of the program. It does not work at any level. It needs a complete change and a national education program. Every woman with PTLS should have filed a MedWatch complaint. The snake oil sales MDs for tubal reversal do not inform women of their rights and actions they should take such as filing a MedWatch Report. This is because they make their living by these reversals and if women became educated they will not pay cash and beg for a tubal reversal. So those making money off of these victims are not going to help to change medicine for the better because of their personal greed. So the FDA actually has no real idea of how many women have had problems or what the problems are with ESSURE because we do not have a proper reporting system. The company that makes ESSURE does not want to know about problems, their business is about sales. Success for corporations is measured by income, not patient outcome. This product causes harm to the fallopian tubes and cannot be easily removed. Proper evaluation did not take place in patients. Genetics evaluation to look at risk of infection such as risk for diabetes. Evaluation for immune diseases are not performed. Full evaluation for conditions which would increase complications. Full studies for STD and inflammatory conditions were not obtained prior to use of Essure. How many women had mycoplasma or ureaplasma in their fallopian tubes? How many women had endometriosis? Informed consent as to the risks that could all take place was not and is not provided to these women. Essure makes the claim that they are the only non-surgical permanent form of sterilization. This is not true. I filed and took enforcement action in the past on a device called Ovabloc with the FDA. Susan Bucher, in one of our global research projects, found many forms of hysteroscopic tubal occlusion (HTO) for permanent contraception which have been considered, tested, or currently practiced in the United States and elsewhere in the world. 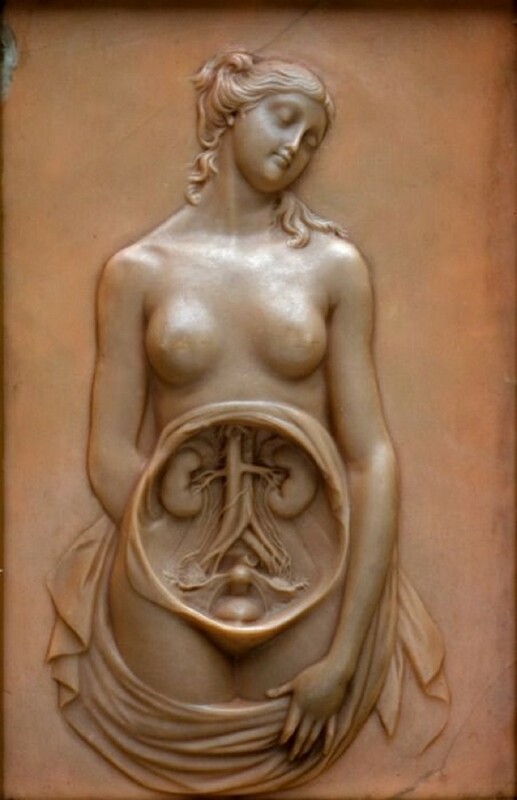 They include among other things the use of methyl cyanoacrylate (MCA aka “super glue”), the use of liquid nitrogen to freeze the cornua which creates scar tissue blocking the fallopian tubes, the Adiana system, Ovalastic (off shoot of Ovabloc), and the practice of placing chemical pellets into the fallopian tubes such as Atabrine or Mepacrine (also called quinacrine) to scar the fallopian tubes shut. Quinacrine sterilization is currently practiced in the United States today as the FDA allows doctors to use medications any way they see fit “off label”. It is interesting to note that in 1998 India banned the import or use of quinacrine for female sterilization use as it can cause cancer, and the World Health Organization in 2009 stated quinacrine should not be used for non-surgical sterilization of women in either clinical or research settings… but yet it’s allowed to be used in the U.S. for female sterilization. Essure also claims they are using micro coils. This is a made up marketing terminology to make women believe the device is microscopic. It is an intentional fraud to mislead patients as to device construction. The coils are not microscopic and can be seen easily with the eye. The coils produce: inflammatory process, perforate the body and migrate through the body. The actions of the coils can produce: sepsis, rupture of organs, necrosis of tissue, obstruction of the bowels, hemorrhage and other complications. All of the complications could be predicted without any studies being performed based on the history of other products such as Ovabloc. The lack of a proper protocol appears to be an ongoing act of negligence in gynecology. I am asking for an immediate stop to the use of the Essure device and a full investigation by the FDA take place to evaluate every case of insertion and gather proper statistical data. Of great need is the removal of law that prevents litigation against devices and products. This will take years of hard work. How such a law got passed is in need of a full expose. Who paid for what to get this law that removed human rights and fails to protect patients. How did this injustice evolve? Also MedWatch needs to be totally revised and have proper funding to do what it has never done. It needs to collect every case of problems with devices and products such as drugs and procedures. It is a failed system and we need it to be working to protect the public.